Stuck in the idea phase? “Life’s too short to build something nobody wants.”So many entrepreneurs and innovators waste their time worrying about the wrong risks. The risk is not IF you can build a product. You’re an entrepreneur, that’s what you do! The real risk is whether or not people are going to buy what you’re building. That’s why Ash Maurya, bestselling author of Running Lean and Scaling Lean, is bringing you LEANSTACK. 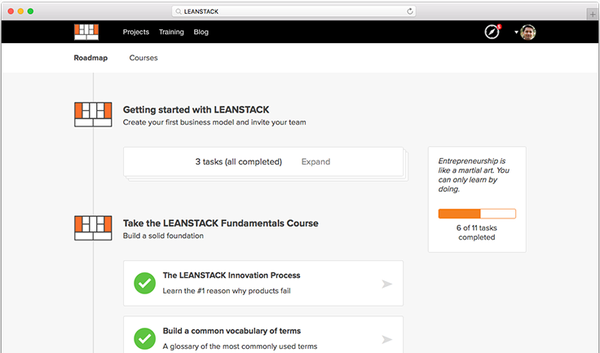 LEANSTACK is a collection of tools, content, and coaching resources to help entrepreneurs and innovators build better businesses. 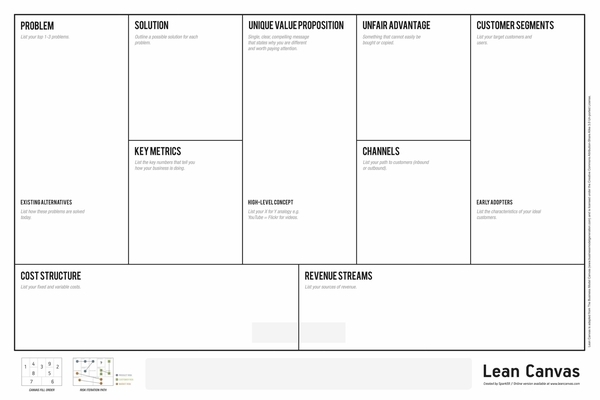 Combining business model, systems thinking, and Lean Startup principles, LEANSTACK gives users a practical framework for taking an idea from inception to scale. LEANSTACK will teach you how to document your plan, identify the riskiest parts of your plan, and systematically test your plan. 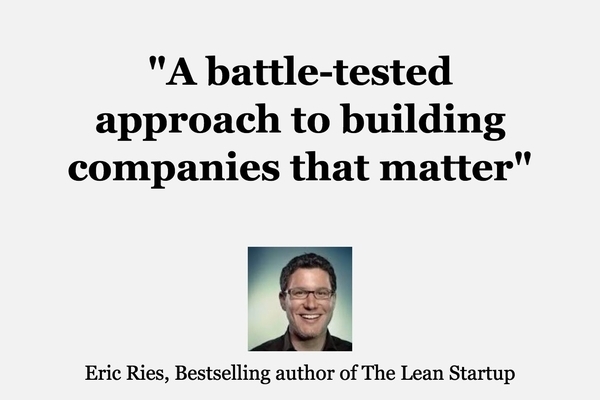 With quick tests, LEANSTACK will help you decide if an idea is worth keeping or scrapping. 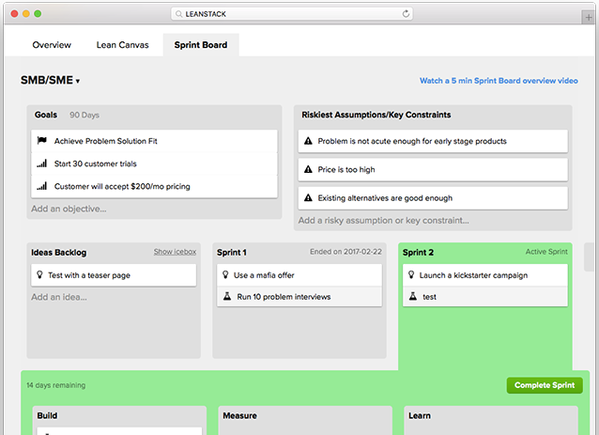 Source, rank, and test ideas with your team using a time-boxed iteration called LEAN Sprint. Goals, risks, ideas backlog, and experiments all in one business-creating page.Sure, you’re testing your product by running experiments. But are those valuable experiments? LEANSTACK Experiment Report ensures you are designing, running, and learning from each and every experiment. Regularly, the Business Plan is $144 per year. 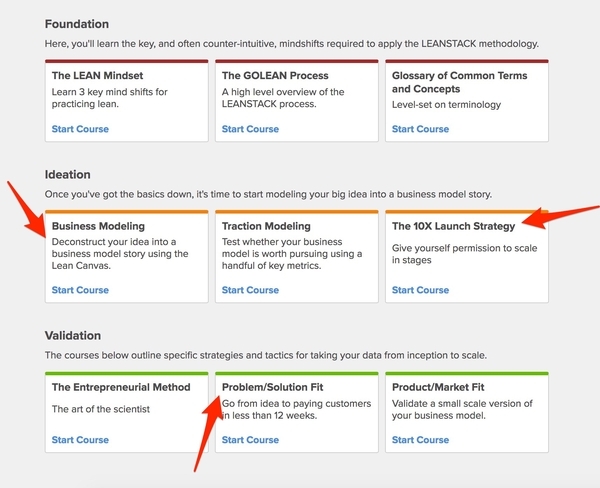 Online courses on business modeling, Lean Startup, and more! But, if you’re quick enough to grab this deal while it’s live, you can getlifetime access to all of this for only $39! You’re welcome, entrepreneurs and innovators. Click here to learn how to create a successful business! If BOTH of these startup ballers are throwin’ props, you know it’s bomb!What makes LEANSTACK different than the competition? LEANSTACK was not created by some guy who has a hunch this is how you create a successful business. LEANSTACK was created by WSJ best selling author, Ash Maurya, and has been field-tested since 2010! LEANSTACK’s customer-problem-solution focus will help you avoid the pitfalls many startups suffer. LEANSTACK is the tool you need to make this happen. C’mon, you’ve spent long enough in the idea phase. 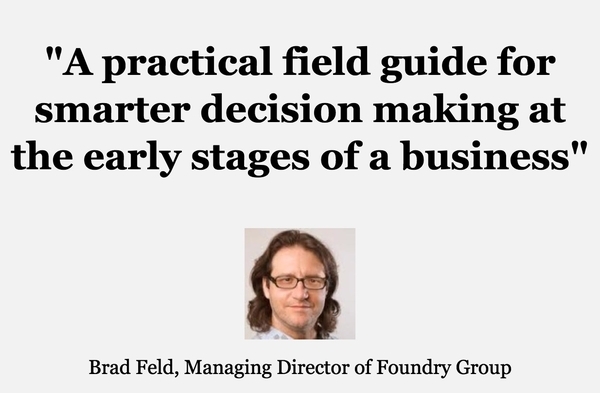 It’s time to get your business off the ground. Get lifetime access to LEANSTACK for just $39!